The Cisco designed hierarchical model for network design. Its divides network into three layers. The first layer is Core layer and the second layer is Distribution layer and third layer is Access layer. When we used hierarchical model properly, it’s makes networks predictable. The hierarchical model defines which areas should perform certain functions. When we work with large networks, the large networks extremely complicated with multiple protocols and detailed configuration and diverse technologies. Hierarchical Model helps us to understand the collection of details in networks. 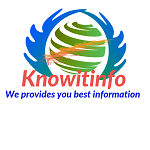 The Cisco hierarchical model help for network implement and maintain and reliable and cost effective. Each layer is responsible for specific responsibilities. These three layers are logical and not necessarily for physical devices. This layer is the core of the network. The Core layer is responsible for transporting large amount of traffic. It’s also responsible for reliably and quickly. 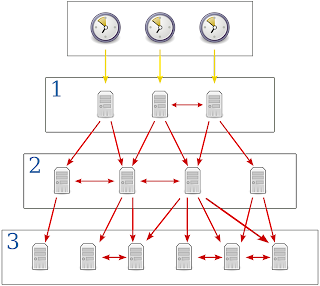 The Core layer is switches traffic as fast as possible. If core is failure every user can be affected because the Core layer manages large volume of traffic, so speed and latency are driving concerns here. The Distribution layer also known as Workgroup layer. The Distribution layer is communication point between the core and access layer. The Distribution layer primary functions are provides routing, filtering and WAN access. This layer decides how packets can access the core, if needed. The Access layer sometimes knows as the Desktop layer. The Access layer controls user and workgroup access to internetwork resources.